Hiring a Criminal Defense Attorney - The Sooner the Better | Steven J. Litvack, P.A. While both a prosecutor and a criminal defense attorney, I have encountered many people who decide not to hire an attorney immediately following their arrest but rather to wait until their first court date to seek counsel. Whether it is the day before their arraignment or the day after, some people choose to "wait and see" what happens before deciding that they should hire an attorney. This is one of the biggest mistakes you could make. An arrest does not automatically mean you will be charged. The police only decide whether or not to make an arrest. Following an arrest, the police turn over all the evidence collected to the prosecutor. The prosecutor then reviews the case and determines whether to file charges and what charges to file. Typically, this process takes about 30 days from the date of the arrest. During this time, there are a lot of things that can be done to help your case. Depending on the type of charge, there may be exculpatory evidence (evidence which tends to prove your innocence). However, certain types of evidence are only available for a short period of time. 911 Calls. Different counties preserve 911 calls for different lengths of time. In Broward County, 911 calls are only maintained for 30 days. Depending on who called 911 or how many different 911 calls were made, there may be exculpatory evidence (evidence proving your innocence) contained in the 911 call. Maybe someone gave a different description of the suspect. Maybe a bystander observed the fight and advised that you were not the aggressor but instead were acting in self defense. Maybe the 911 call is inconsistent with other descriptions of the incident. Maybe the alleged victim does not sound distressed and instead sounds way too calm for the alleged situation. The 911 call may help your case. Seasoned detectives often get the 911 call in serious felony cases. However, more often than not, rookie cops will forget to get the 911 call during their investigation. If no one requests the 911 call within the first 30 days, it may be lost forever. Get the 911 call while it exists. Surveillance Video. Like 911 calls, surveillance videos are only maintained for certain lengths of time. Some businesses maintain the video for a month, others for a week, some even for as little as 48 hours. Typically, the surveillance is backed up on the server for a certain amount of time before it is recorded over again. If the video is not downloaded onto a DVD quickly, it may be lost forever. An attorney can attempt to get the surveillance. Also, an attorney can request that the surveillance be preserved. Most businesses have surveillance. There are cameras inside stores and businesses. There are cameras in parking lots. The alleged crime (or portions of the alleged crime) may have been picked up by surveillance. A picture is worth a thousand words. So is a video. Talking to Witnesses. Witnesses should be listed in the police report. But, not all witnesses stick around to talk to the police. Also, sometimes the police do not talk to all the witnesses or don't document every witness they speak with. Police reports can take weeks to be completed. Don't rely on the police to fully document the incident. Talk to witnesses ASAP. Memories fade. People move. Line up any defense witnesses early and get adequate contact info so you can contact them when you need them. An attorney or a private investigator can do this. They can take recorded statements and possibly have witnesses sign affidavits regarding what really happened. As mentioned above, an arrest does not automatically mean you are or will be formally charged. Whether to file charges and what charges to file will be determined by the prosecutor. 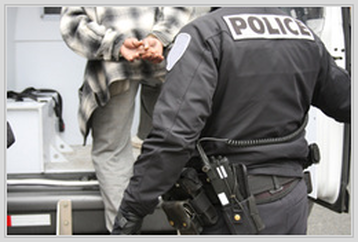 A criminal defense attorney can contact the prosecutor and begin fighting for you. Depending on the facts of your case (and any legal issues surrounding the case), an attorney can try to persuade the prosecutor to decline to file formal charge. Or, an attorney can try to persuade the prosecutor to down file the case. Meaning filing a felony arrest as a misdemeanor charge. Don't wait until the litigation stage to begin your defense. Your defense should begin during the filing stage. If you have questions about a criminal case, feel free to contact me for a FREE CONSULTATION. Click here to learn more about my experience.